Working in Asheville, and surrounding Western North Carolina areas, CS Snider Designs can transform your existing concrete floor into a rich and inviting surface. 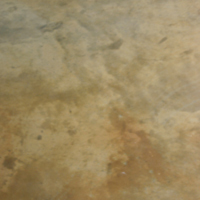 With environmentally safe stains and sealers, concrete has become an attractive and safe choice for a final floor treatment. Contact Shane Snider to find out more about custom concrete staining.